Business leaders are often in a bit of a precarious position when it comes to technology. On the one hand, they need to make sure that they’re giving employees access to the tools they need to do their jobs in the best possible way. On the other hand, it’s also literally their job to focus on the quantitative measures of how technology benefits their business in terms of ROI — two goals that can often seem at odds with one another. Over the last few years, many companies have turned towards the managed service provider to meet both of these goals at the same time. They’ve found a tremendous amount of success in doing so. But just like the technology itself it’s important to understand that there is no “one size fits all” approach to this decision. Is a Managed Service IT Provider the right choice for the right time? What is your Engineer-to-Customer Ratio? How Malleable Are the Services that You’re Offering? What Is Your Support Process Like? Do You Offer Remote and On-Site Support? Before you can get started finding the right MSP for your business, you must first make sure you understand what you stand to gain from such a relationship. As the name suggests, an MSP is a technology services provider that both manages and assumes the responsibility for providing a specific set of services to your client. In essence, in exchange for a single predictable monthly fee, you get a defined set of network, application, system, and even e-management services piped directly to your network on a “pay as you go” basis. It is by far a more efficient way to stay on the cutting edge of technology, but to be fair, you will be giving up a certain level of control over your environment. You’re no longer responsible for researching equipment, procuring it, installing and maintaining it — someone does all of this for you. Once you’ve determined that hiring an MSP is the right step to take, this is one of the first questions you should ask. Part of what you’re paying for is dedicated support — that’s hard to do if an MSP has 200 engineers trying to provide real-time support to thousands upon thousands of customers at one time. For the best results, try to find an MSP that actually has more accredited, certified engineers than it has customers. This essential question plays directly into why a managed service IT provider is such an attractive proposition in the first place. The right MSP won’t just provide you with a service — they’ll also help design and deploy services that are optimised with how you actually plan to use them in mind. Don’t pick an MSP that provides you with access to the public cloud and leaves you on your own. Find one who will go the extra step and help you create a solution that is built with your team in mind. Newer MSPs tend to be smaller — pointing to a lack of business experience necessary to actually handle all your organisation’s needs. There’s nothing wrong with a young company on the rise, but depending on what you need and how you need it, this may not be the best fit for your specific business at this time. Different industries have different rules and regulations that they must follow in terms of IT, particularly when it comes to hot-button topics like security. The MSP you’ll work with needs to not only understand how you plan to use technology but how it must be used in the industry you’re actually operating in. If you’re a healthcare organisation, don’t pick an MSP without healthcare experience. When you’re talking about technology, when something goes wrong, it’s not a question of “if” but “when”. If you encounter an issue, you need to know that your MSP will be there for you regardless of the time of day. Find out how they handle after-hours support requests, whether or not they offer true 24/7 support and more. Records keeping is incredibly important when it comes to IT. Always find out whether or not a particular MSP documents the work they’re doing so that you have accurate, comprehensive records to refer to should you ever need them. This not only provides visibility into your relationship, but it helps prevent recurring issues from happening in the future. Finally, always ask about whether an MSP offers both remote and on-site support should you ever need them. Certain problems will require face-to-face time with a certified IT professional — there really is no getting around that. When you find yourself in that situation, you need to know if the option is available or if you’re going to be paying an inflated price for it because it falls “outside the scope” of your agreement. 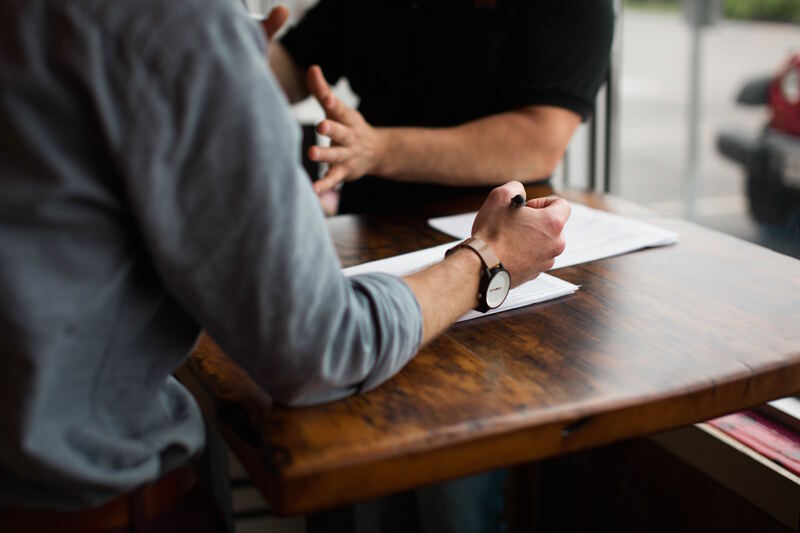 If you still have any additional questions about picking the right managed service IT provider for your business, or if you’d like to sit down and discuss with an expert whether an MSP is the right move in the first place, you’ve come to the right place. Please don’t hesitate to contact Lanrex today for more information.